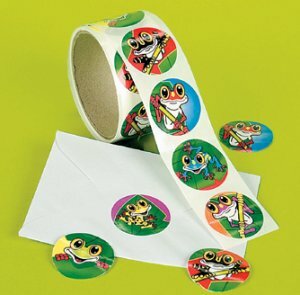 50 Funky Frog Stickers. A range of colourful, fun frog stickers which link with the natural world and the rainforest. Kids love to wear them or use them to decorate their pictures and cards. Stickers measure approximately 4 cm. Funky - bought with the frog tattoos. My 13 year old loved 'em.